What do the Miami Heat and a giant python have in common? They were both trending in Florida news this week! WSVN 7 News had a strong lead on Twitter, with nearly four times as many interactions as the Miami Herald (#2). Missing Child Alert canceled after a teenage girl from Reddick was found safe. Yikes-s-s-s! Hunters catch a massive, 17-foot long python in Big Cypress National Preserve. We can name a few… How about you? 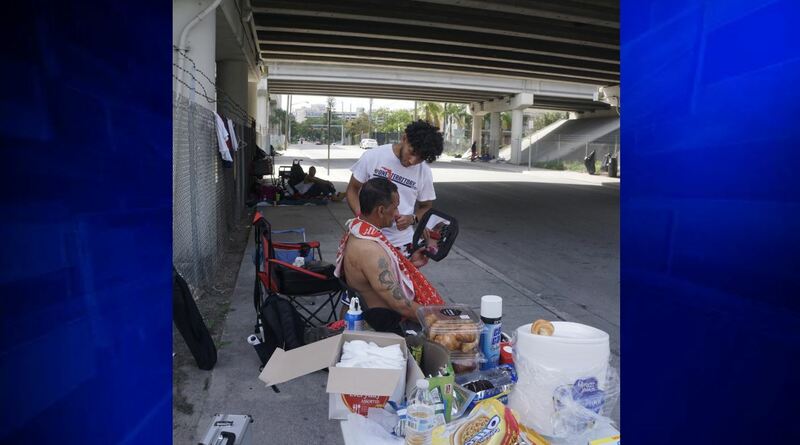 A South Florida barber uses his talent to help those in need. Gatorade commercial celebrates Dwayne Wade’s career with the Miami Heat. Gov. Ron DeSantis pushes for a ban on sanctuary cities that refuse to cooperate with federal immigration authorities. Data was collected from CrowdTangle on Friday, April 12, 2019. It covers the period between Saturday, April 6, and April 12, 2019.